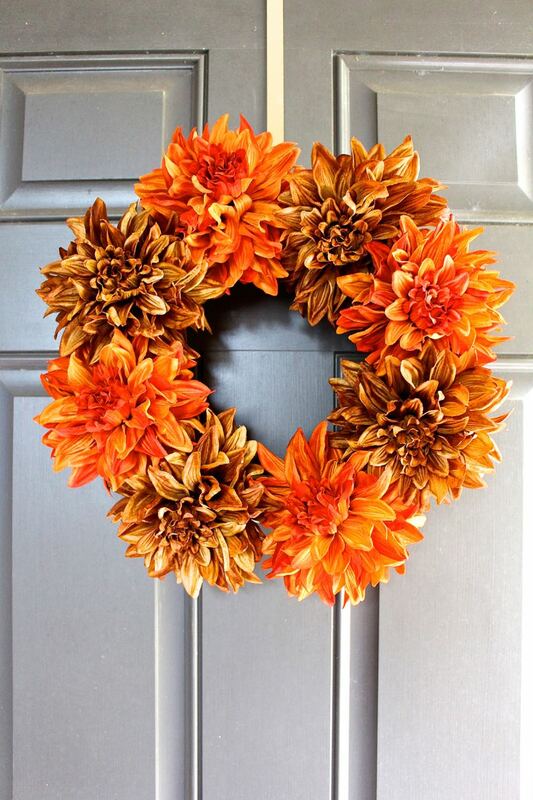 This easy fall wreath will make you want to do even more DIY Fall crafts since it’s so simple to create your own. Hey y’all…we hope that you had a wonderful, long weekend. We are so glad that we had the opportunity to relax at the lake. We ate good food, shared a few special bevs, went on some wild boat rides and most importantly shared a great weekend together. Jennifer and I even had a little bit of time to create a couple of fall projects. As you know, this is our favorite season. Can we sing out a giant “Woop Woop” as today is the day Starbucks brings back the Pumpkin Spice Latte? Yes, we are those people! Now, back to business…Being that we were together it was so fun to plan out our crafts, decor and recipes for Fall. Hold onto your hats because we have a lot of fun things in store for y’all! 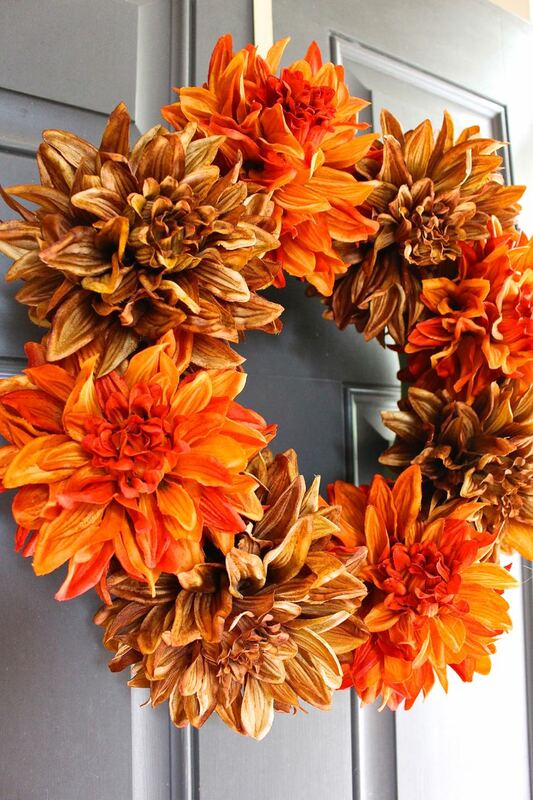 Like this easy Fall wreath. This literally took all of 5 minutes to craft. This post also contains affiliate links. 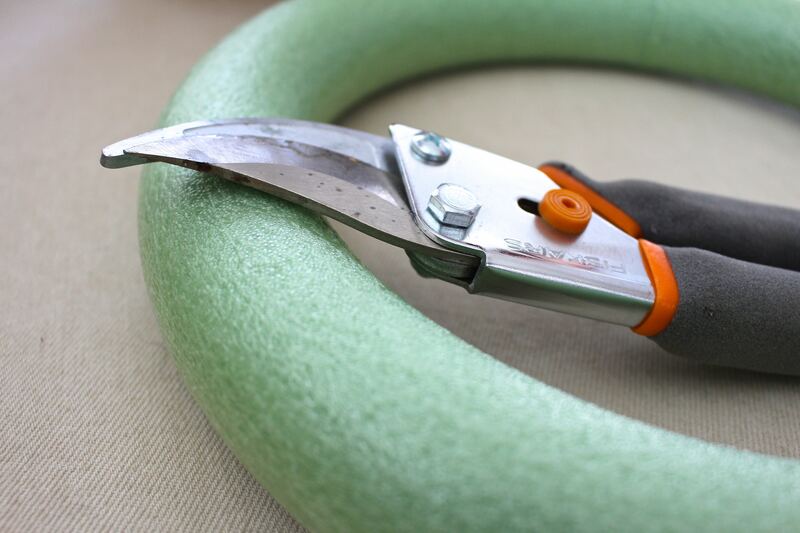 …Mark the floral foam ring with 8 dots, evenly spaced out. And that is it! 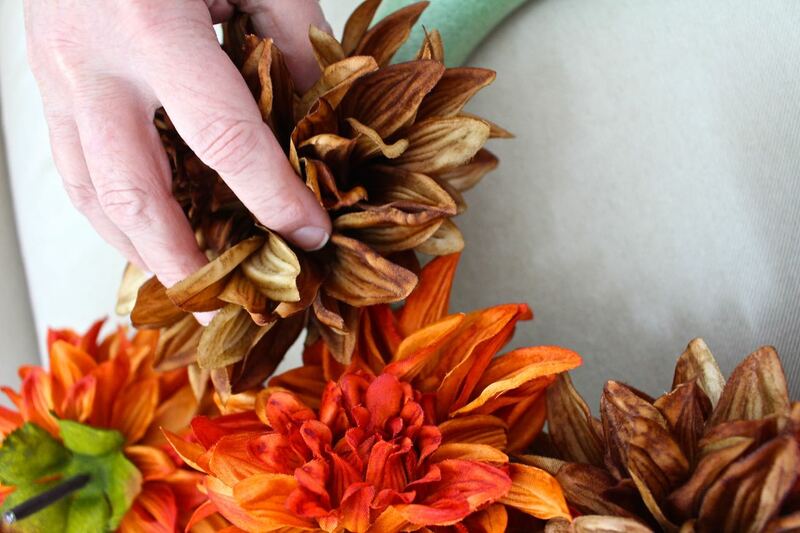 We aren’t even sure of what type of flowers these are, but they make a big impact on the wreath. 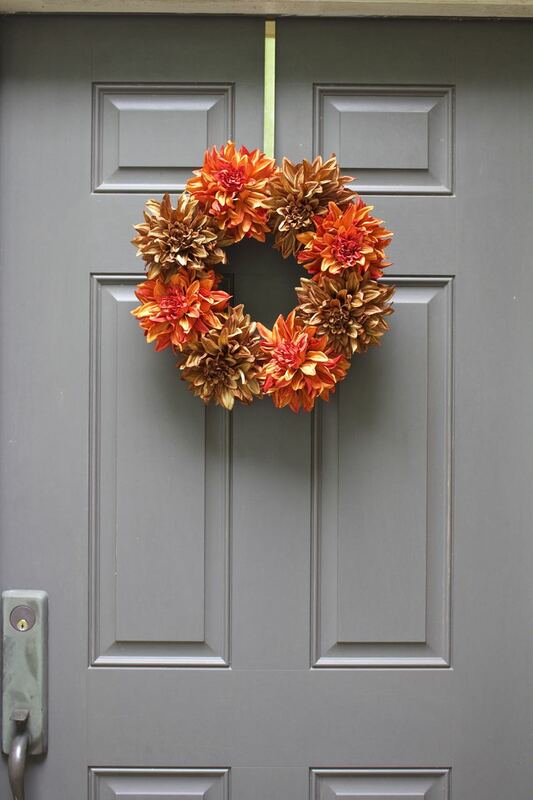 It’s amazing how 5 minutes can make such a difference 🙂 Have you made a front door wreath for Fall? We would love to see it! Wow! Beautiful wreath! Can’t believe this is from the dollar store. Heading there today to hopefully find these…and get a PSL! Have a good day! 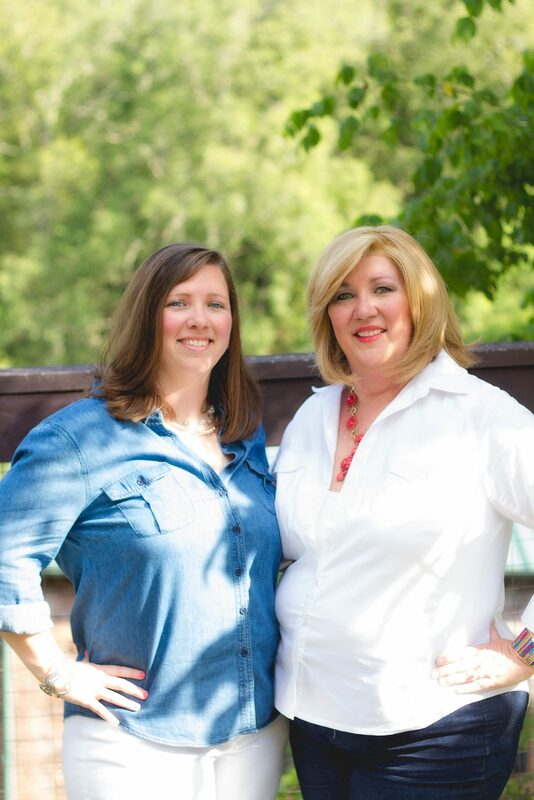 Hey Angie – thank you! 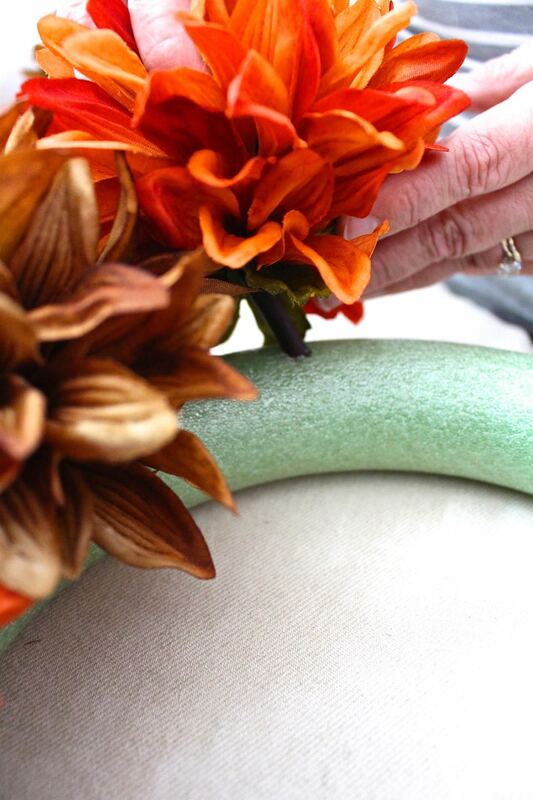 Yes, the foam ring was from Dollar Tree and the flowers were from Dollar General – super thrifty craft! 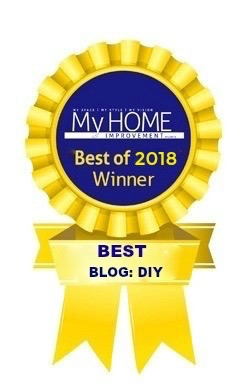 Hi Lisa – I know you are the Queen of Thrift but we are always happy when we can create something for s small amount of money! Thanks so much! 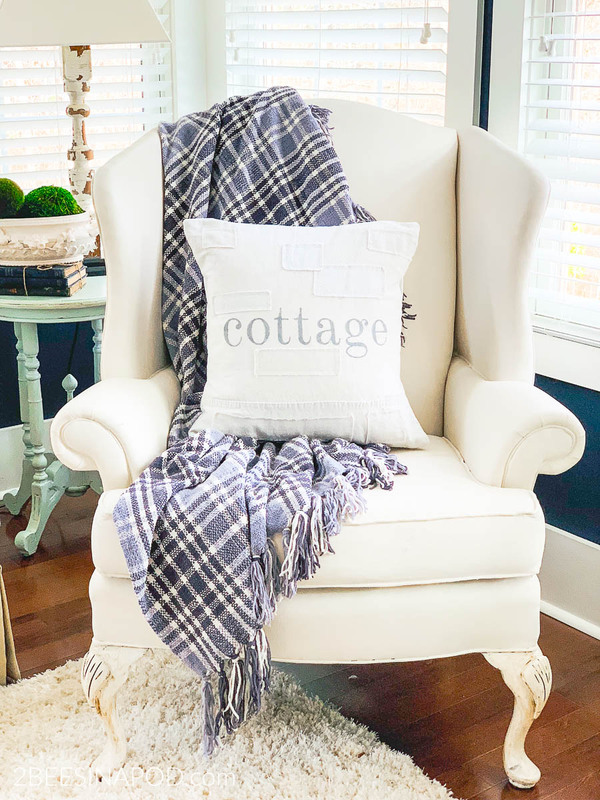 Bluwatergal recently posted…perfect beach cottage ~ tour! Thanks so much Bobbi! We like to be creative and thrifty with our projects! This is a keeper! 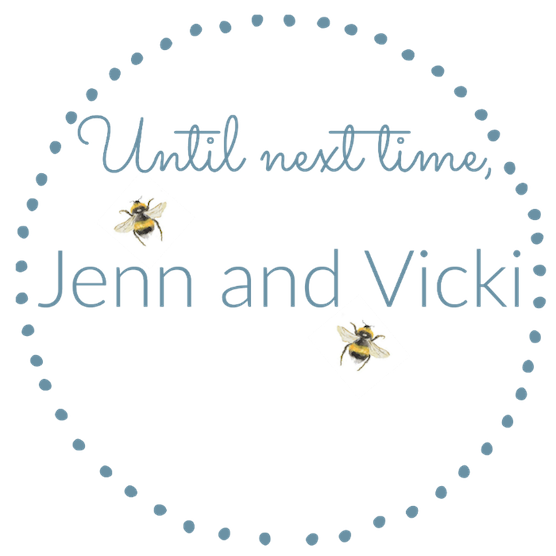 Hey Kimm – yes you do! When we were at the lake, Dollar General is about the only place to shop and we were pleasantly surprised that they had artificial flowers in store. So glad you love PSL season too! Wonderful wreath! I love the fall colors and beautiful flowers. Thanks so very much Stephanie – it means a lot! Wow! I’m just seeing this and am excited to get busy making some wreaths! 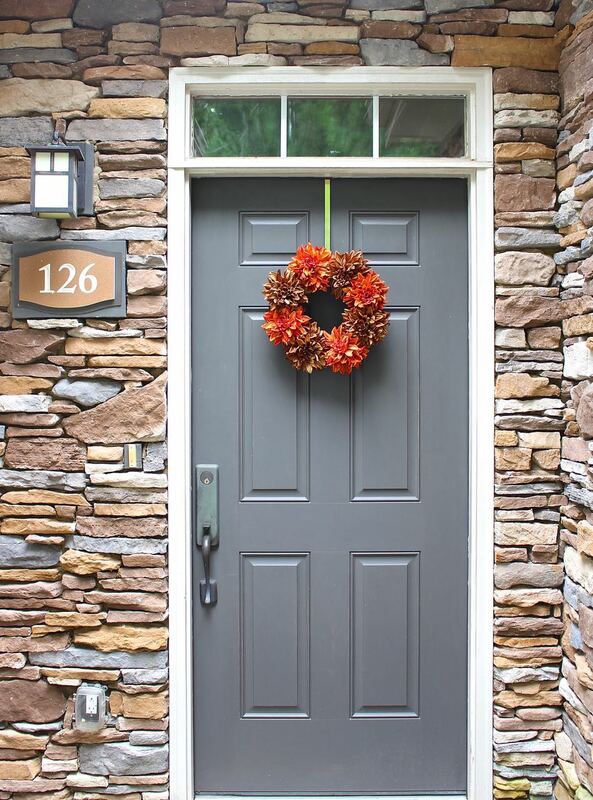 We have a double front door so I need two of whatever I put there which can get costly. This is the perfect solution! Have a wonderful weekend ladies! Hi ladies these silk blooms are dahlias. Beautiful colours against the grey absolutely love it. 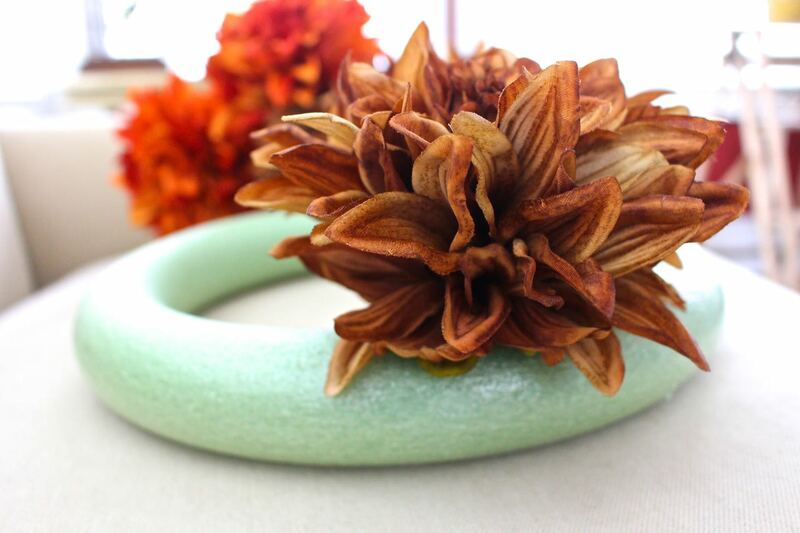 What diameter foam floral ring did you use? Unfortunately I cannot find the same flowers at Dollar Tree. 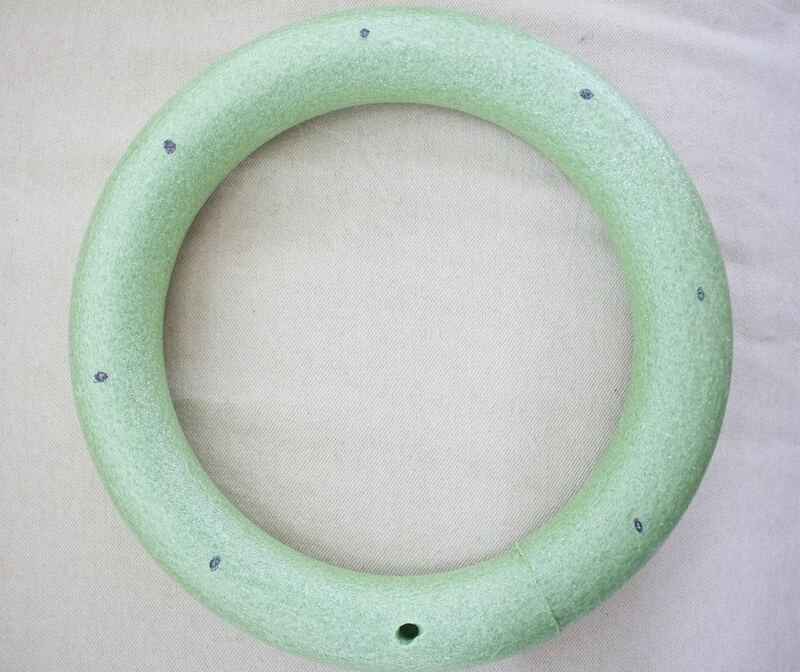 Hi Joan – the foam floral ring is 12″. 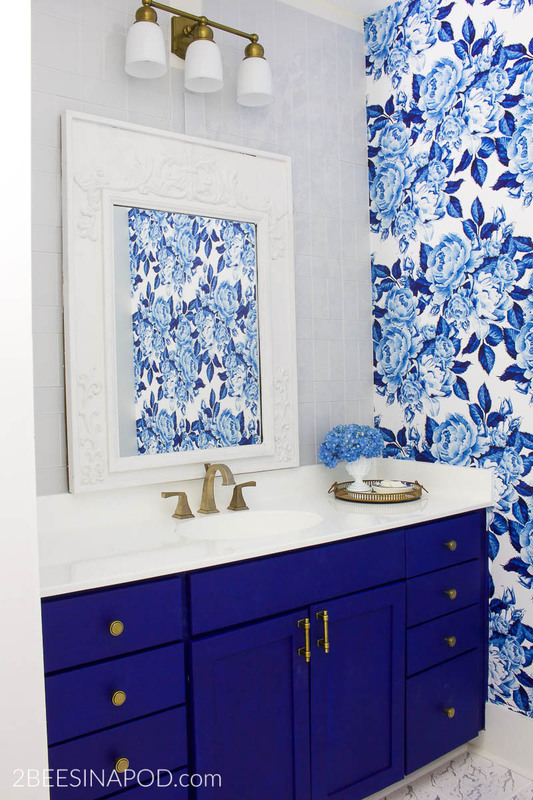 We are sorry that your Dollar Tree doesn’t have these flowers this season. Coincidentally, we were at a local Dollar Tree just this weekend – and ours had a new shipment of faux fall flowers that were very pretty. We purchased about 8 stems of creamy white flowers for a project. Maybe your Dollar Tree will have new flowers soon. Thanks so very much for taking the time to reach out to us! Good luck with your project. Thanks for your reply. My local (State College, PA) Dollar Tree and Dollar General did not have any 12″ rings nor did they have any large-stem flowers. 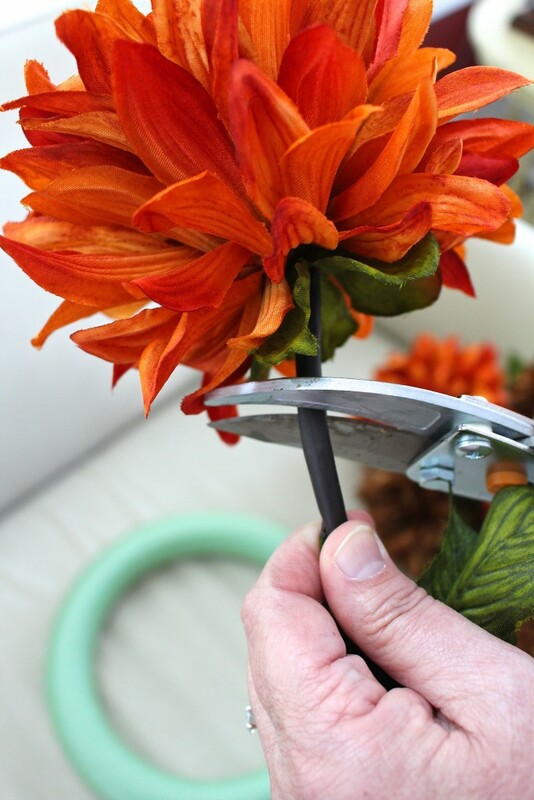 I went to JoAnn Fabrics and bought a 14″ ring for $5,99 and a Mum bunch (7 flowers) for $5.99. Total cost with tax came to $12.70. 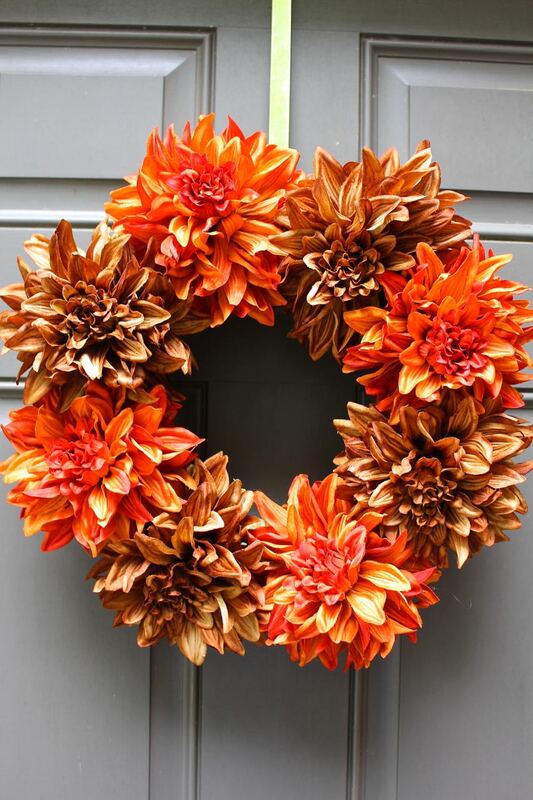 Not as inexpensive as yours but cheaper than buying a pre-made wreath. 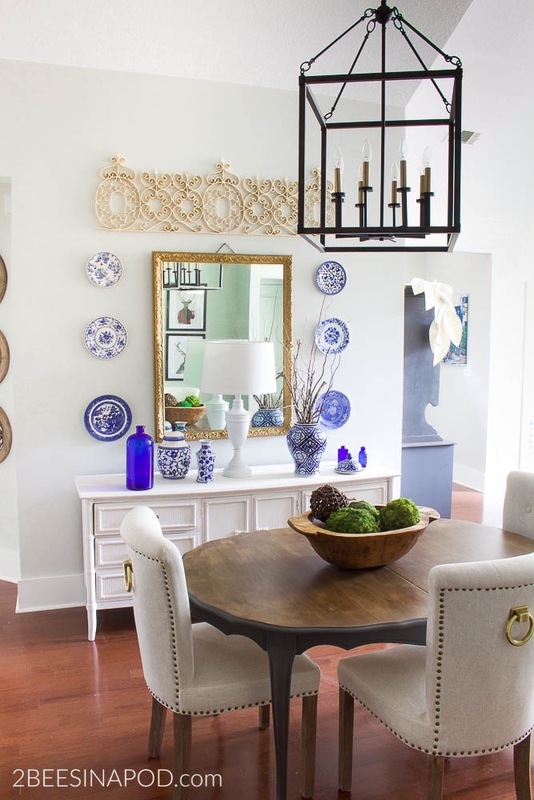 Joan – we are always shocked by how expensive ready-made decorative wreaths are. We would love to see your wreath when it’s completed…send us a photo!